I gave this new Squish book to my Mum to read to my 2-year-old niece when she visited. 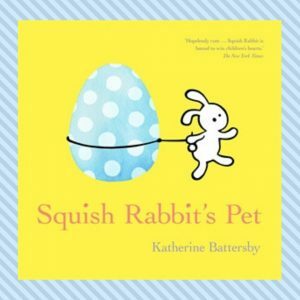 They both very much enjoyed it, which is not surprising given it’s written and illustrated by Katherine Battersby, award-winning author of nine children’s books. 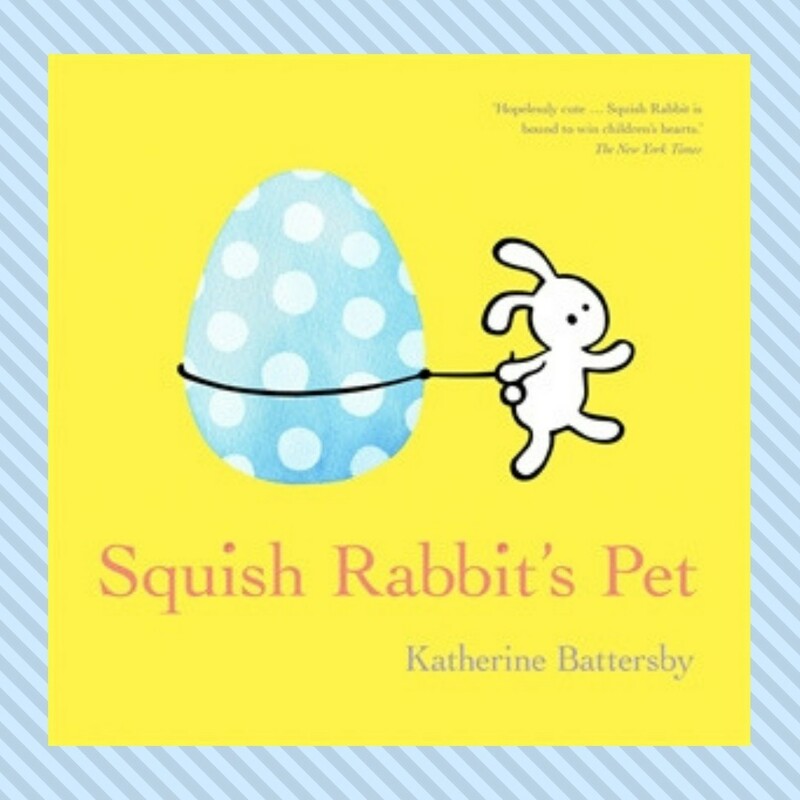 Squish Rabbit’s Pet is the third book in the much-loved Squish Rabbit series, joining Squish Rabbit and Brave Squish Rabbit on the shelves with their wonderfully squishy book covers for little hands. Squish is just a little rabbit, but being little leads to big dreams… Most of all, Squish dreams of having a pet. Squish sets out with his best friend, Twitch, to try to find a puppy for Squish to adopt as a pet. Katherine Battersby grew up by the beach in North Queensland and currently lives in Canada with her poet husband and their rather ridiculous dog. In another life Katherine worked for many years as a paediatric occupational therapist, specialising as a children’s counsellor, and she has also studied graphic design.